A new holiday tradition is afoot as Roanoke prepares for the grand opening of an ice-skating rink at Elmwood Park. 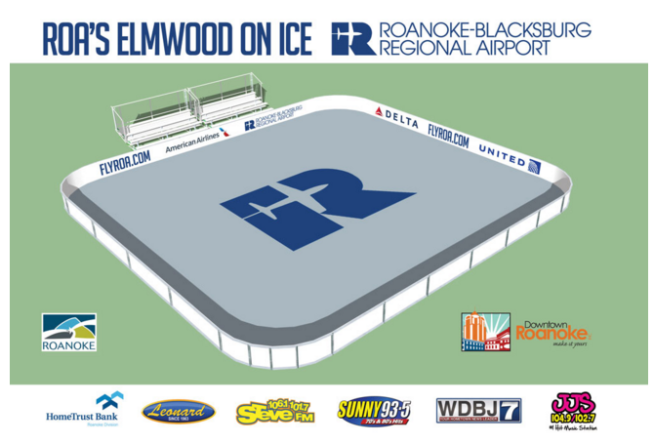 Named for its title sponsor, the Roanoke-Blacksburg Regional Airport, the new rink will be called "ROA&apos;s Elmwood on Ice." Tina Workman, president and CEO of Downtown Roanoke, Inc., will hire approximately 20 seasonal workers to manage the new facility, and the group is looking forward to bringing winter cheer to Elmwood. "The concept of a downtown ice rink has been floating around for a while, and we&apos;re really excited to finally see it come to fruition," said Workman. According to Workman, the 3,900-square-foot rink, which will measure 65 feet long and 60 feet wide, will accommodate upward of 100 skaters. The fees for admission will be $6, with an additional $2 for skate rentals. To see the full schedule, which includes closures and shortened hours for holidays, visit www.ElmwoodOnIce.com. In addition to the Roanoke-Blacksburg Regional Airport, this project is also being supported by WDBJ7, HomeTrust Bank, STEVE FM, Leonard Storage Buildings, Sunny 93.5 and WJJS. As a nationally accredited agency, Roanoke Parks and Recreation strives to deliver parks, recreation facilities and activities that are attractive and accessible and provide memorable experiences that move the body, mind and spirit. 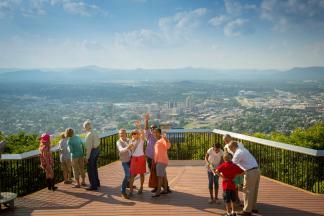 For information about our best-in-class services and facilities, visit www.PlayRoanoke.com.